Run Whatcha Brung has been going on for 25 years now and has been a local staple for many local car club buffs. The name Run Whatcha Brung means what it says if you want to show it off they will let you in. There are no requirements here for it to be a classic car it just needs to be unique and special to you!! Your guaranteed to see some strange a cooky cars at this show. For years many Classic Car Show fans saw Rialto’s Car Show as a kickoff to the Summer Car Show Season. 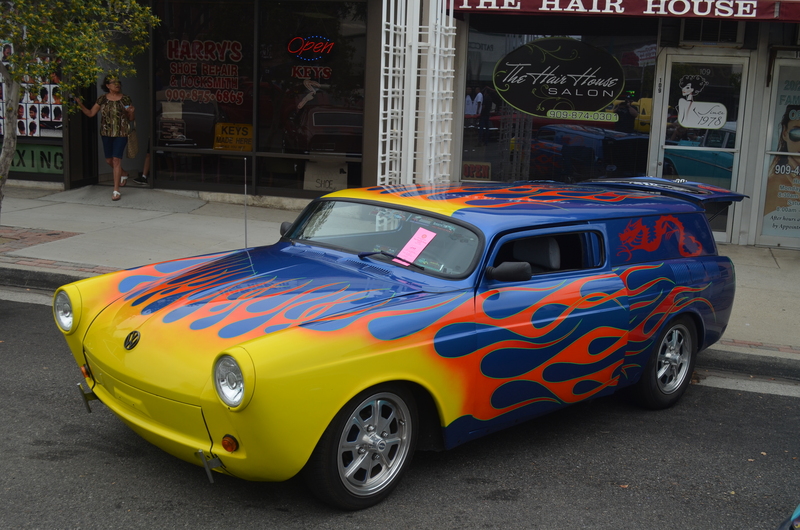 For years the Saturday Car Show kicked off a Friday Night Burnout Contest and smaller car show with light vendors held at the Rialto Airport. With the city closing down the Airport for what is now one of the biggest retail developments in the Inland Empire the Rialto Rotary Club had to stop the Friday night event. Coffee Nuttz – Coffee Nuttz is open and normally has fun stuff going on for Cruise Night visitors. From Coffee Nuttz trophies to free giveaways and music they aim to make Cruise Night something special. Brothers Pizza – The long standing Pasta and Pizza restaurant in Rialto is smack dab in the middle of this event and is a great place to snag a coveted parking space and some amazing food. Sit by a window and get a great view of cars rolling into the event. Patio West Deli – A great local Sandwich Shop pumping out amazing products and offering cool inside seating and a beautiful shaded patio in the back. Dairy Queen – Rialto has one of the last Dairy Queens to offer all the Food and Ice Cream Dairy Queen offers. Nothing is better than a Chocolate dipped cone or a Chicken Strip Basket! Red District Clothing – A new shop open in Downtown Rialto offers a wide range of clothing and accessories. Stop on by to check out their products and maybe you can find a Rialto hat that you can sport while walking the Car Show.